Malcolm Pope is the professor emeritus of medicine and dentistry at the University of Aberdeen in Scotland. He has more than 30 years of experience in teaching, engineering, and medical research.He fluently speaks English and Swedish. As a professor, he speaks often to medical students throughout Europe and in China. 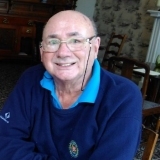 He is an active member of the Royal Academy of Engineering, the Royal British Legion (an organization servicing ex-servicemen), and his local Rotary Club, as well. Malcolm earned an M.D. from Gothenburg University and a Ph.D. in mechanical engineering and biomedical engineering from the University of Vermont in 1969. He has written and been published in more than 10 medical research books, including “The Effects of Helicopter Vibrations on the Spinal System” (1985), “Occupational Low Back Pain” (1991), and “Musculoskeletal Disorders in the Workplace” (2006). Additionally, he has written about medicine and engineering for more 350 scholarly journals. In the future, Malcolm hopes to continue mentoring medical students in collaboration with his international medical professional acquaintances. He has been honored with the Kappa Delta Award by the Royal Academy of Engineering and the Volvo Award, a lifetime achievement award from ISSLS (1980). Malcolm attributes his success to good luck, his family’s support, and not having paid any money for the entire breadth of his education.